The radio transponder system is a microphone with built in GPS receiver. The microphone plugs into any existing two way radio, and allows an operator to track his personnel. We now offer wireless Internet and Network Services in the rural areas. Today, the Vertel Group leads the two-way radio communications field. With 11 branches and more than 20,000 radios on air, our infrastructure, talent and relationships are a formidable combination. With experience behind our team, we have a wide-ranging set of clients and have applied Two-Way Radio solutions across the industry spectrum. Leading the Two-Way space for the past years there's very little we don't know, or can't do, when it comes to delivering the finest turnkey radio communications solutions! 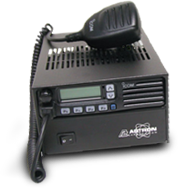 Two-Way Radio - it is easily the most powerful communication tool for your business. Think of Two way as a multi-task tool. One which enhances team efficiency, productivity, safety and security - all of which saves or earns your business money. Over the last decade, more and more on-site hand portables are being used on two-way frequencies because they are exceptionally rugged, high powered, high in features and they provide the operator with true mobility. Two-way is ideal for companies looking to add value to their communications, either in the form of more coverage or extra calling features to improve overall business efficiency. Service industry: plumbers, contractors and the likes. By making use of this website, you agree to be bound by the site usage Terms & Conditions as set out and any additional Terms and Conditions set forth on individual pages of the website. If you do not wish to be bound by these terms and conditions, do not continue to use or access this website.